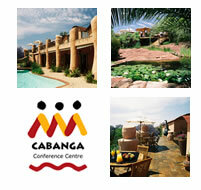 Cabanga Conference and function centre is a unique multi-award winning venue. The conference centre is 20 min away from Sandton and very accessible from the highways, just behind Northgate Shopping Centre and Coca Cola Dome. Cabanga integrates African architecture and vibrant ethnic art and materials, with rich colonial furnishings and the latest hi-tech projection equipment. 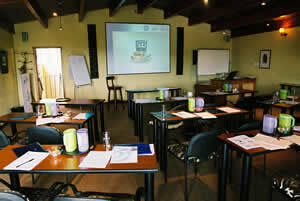 Cabanga Conference centre prides itself on high quality service and hospitality in an exqusite environment. 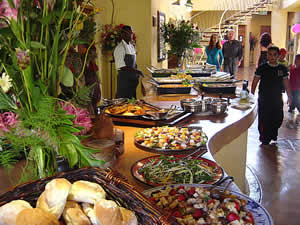 Our famous buffet style meals offer an enormous variety of dishes and will leave you saying WOW about the food, refreshments, ambience and most of all our superior service. Cabanga Conference Centre in Johnnesburg is a small, exclusive day venue which offers full and half day packages as well as corporate rates for large and repeat business. There are 7 fully equipped, air conditioned conference rooms and 3 breakaway rooms, with our breakaway rooms catering for 4-6 people. The largest conference room can take up to a maximum of 70 delegates, when seated in auditorium style. Each room has a mounted Data / video projector and audio speakers.